The rumors are true…..museums really do come to life at night! On January 19, 2018, the five museums of Brigham Young University were open late for patrons to come see what fun adventures happen in the museums after hours. BYU"s Education in Zion, Museum of Peoples and Cultures, Museum of Paleontology, Museum of Art, and of course, Monte L. Bean Life Science Museum provided a night full of fun activities and delicious food. 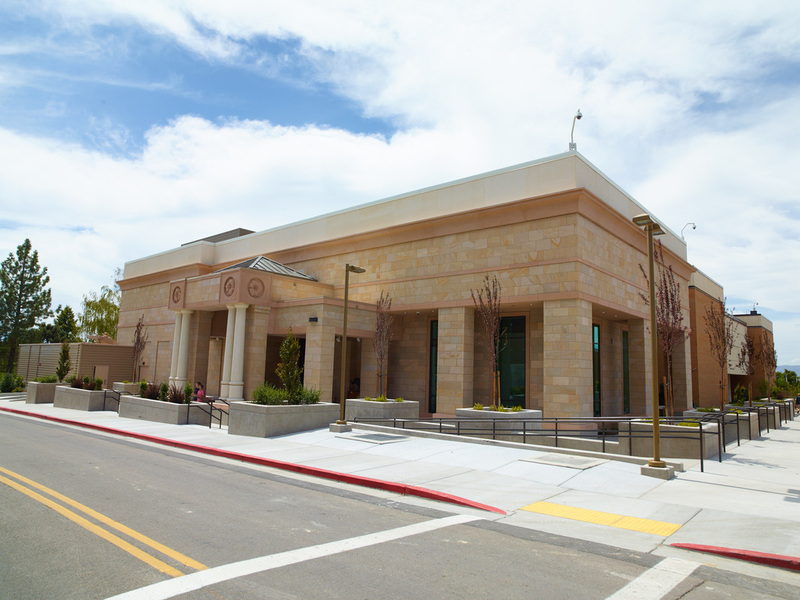 There was even a scavenger hunt that spanned the five museums, which involved obtaining a clue to find a special sticker that each particular museum had hidden in their building. If a guest found four of the five stickers, they were able to win a Night at the Museums car decal! 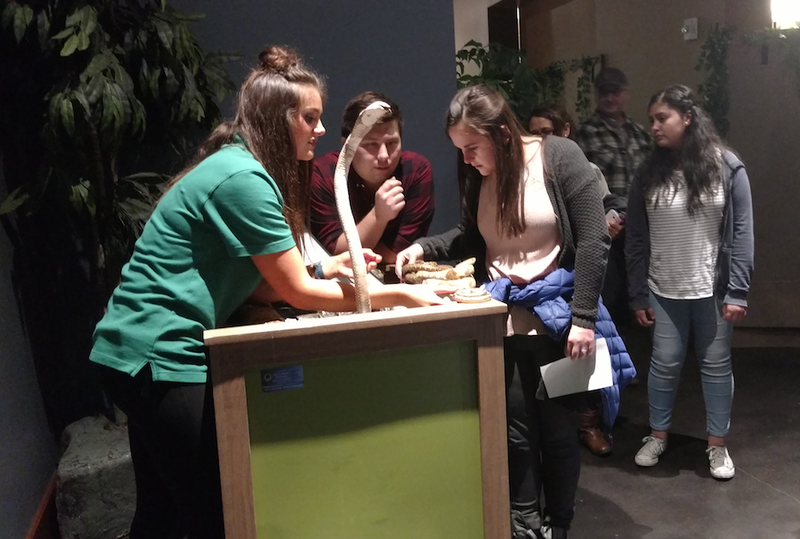 At the Monte L. Bean Museum, guests had the incredible opportunity to come face to face with a model of the largest snake that has ever existed, Titanoboa! 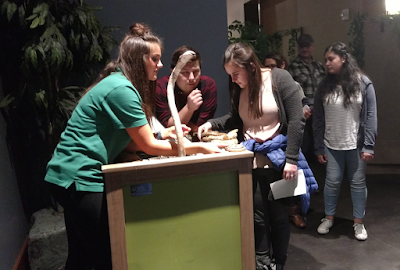 In order to find the extra-large reptile, guests first had to weave their way through the trees and vines of the jungle-like Titanoboa exhibit, and even had an option to pet one of the museum's live snake friends, before laying eyes on the behemoth snake. 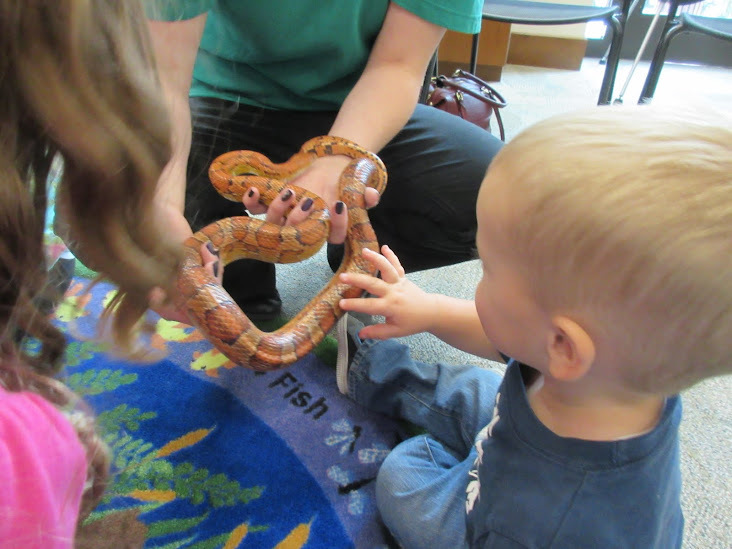 If coming face to face with a variety of snakes wasn't their cup of tea, guests could also participate in many other fun activities taking place throughout the museum. Those that were trying to placate their sweet tooth had to face the challenge of reaching into our cockroach and tarantula cage to retrieve a piece of candy. 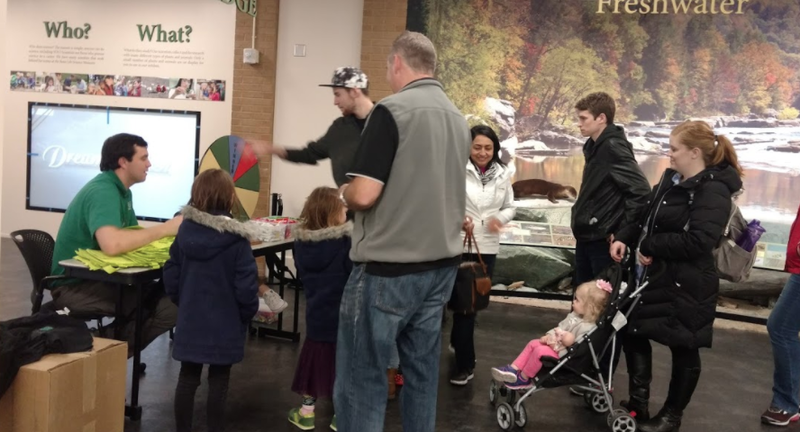 Others tried their chances by spinning our prize wheel, where they could win candy, t-shirts, and other exciting prizes. Many in attendance watched our fun and educational live animal shows, and even posed in our photo booth with some of their favorite stuffed animals! And if all that wasn't enough, guests could snag a free doughnut to munch on as they toured the various museum exhibits. All in all, there were fun activities for every age and interest. We would like to thank everyone who came to our fun event! We hope you enjoyed it as much as we loved hosting it. 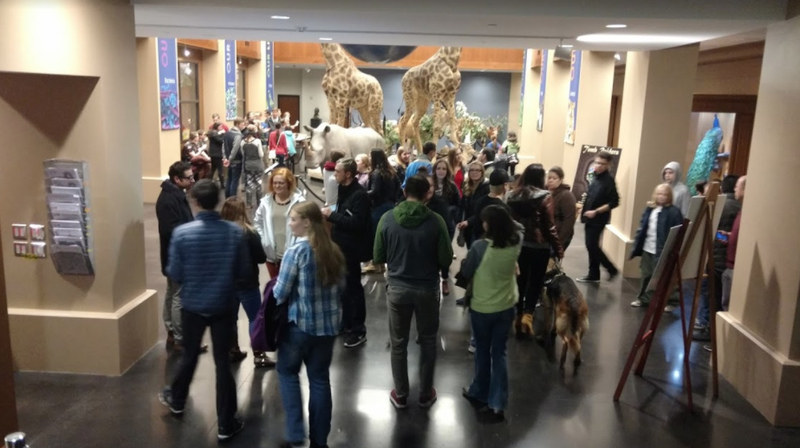 It was the largest attendance we have seen at Night at the Museums since it opened in 2014! 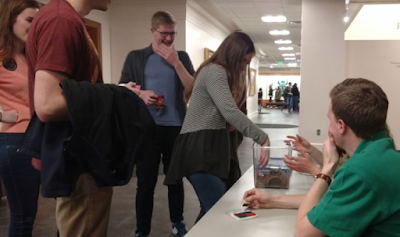 We hope you continue to come to the wonderful museums offered at BYU, and be sure to check in next year for another eventful evening at BYU's famous Night at the Museums. After all, who knows what might come to life? 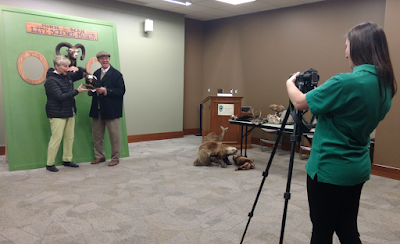 Also, be sure to come see Titanoboa before it leaves for the Smithsonian Museum on March 18!